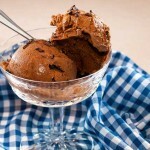 A great Valentine’s Day dessert to share with your loved one; a bowl of homemade chocolate ice cream. This recipe was adapted from the September 1992 Chocolatier magazine. Over twenty years ago I started subscribing to Chocolatier magazine. 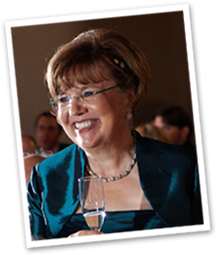 Every recipe in that magazine celebrated a passion for chocolate. My shared passion made this magazine a perfect fit for me. 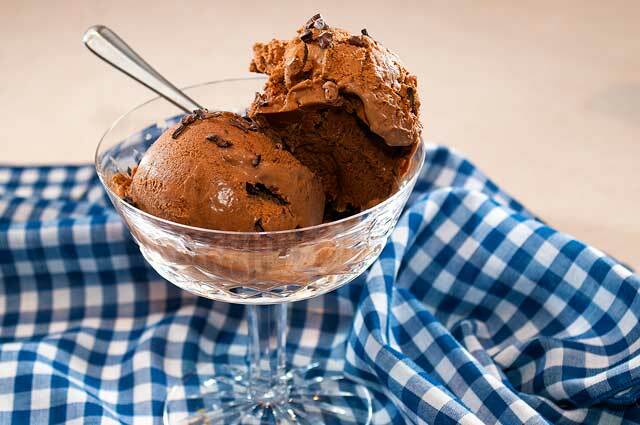 In September, 1992 a recipe for chocolate velvet ice cream appeared. I have been making that recipe since then. After a trip to Italy, I realized how much this ice cream resembled their gelato. I think it is because of the velvet texture. My adaptation of this recipe is as follows. Separate the egg yolks. There is no need for a special tool; you can use your hands. Whisk together the yolks, 2 tablespoons of white sugar and the salt in a medium non- metal bowl. This prevents the yolks from absorbing any metal taste. Set aside. In a medium saucepan, add the remaining sugar, the milk and the heavy cream. Bring to a boil over medium high heat. To temper the egg yolk mixture (prevent the eggs from scrambling), add a few tablespoons of the milk mixture to the yolks making sure to whisk constantly. Add a little more of the milk mixture to finish raising the temperature of the egg yolks. Return the tempered egg yolks to the milk mixture. Stir the mixture over medium heat until it thickens and coats the back of the spoon. This will take about 3 to 5 minutes. If using a thermometer, the custard will register 175 degrees. 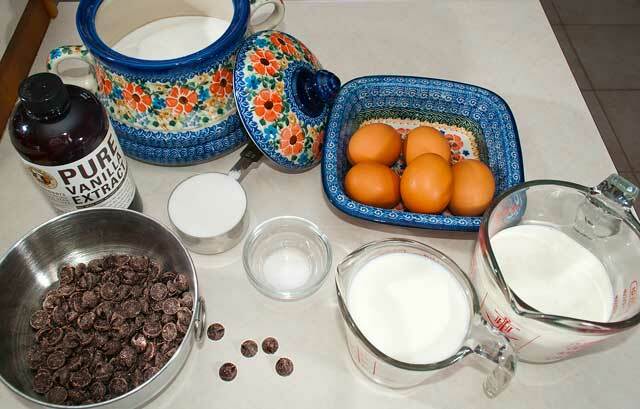 Add in the chocolate pieces and whisk until the chocolate is fully incorporated. 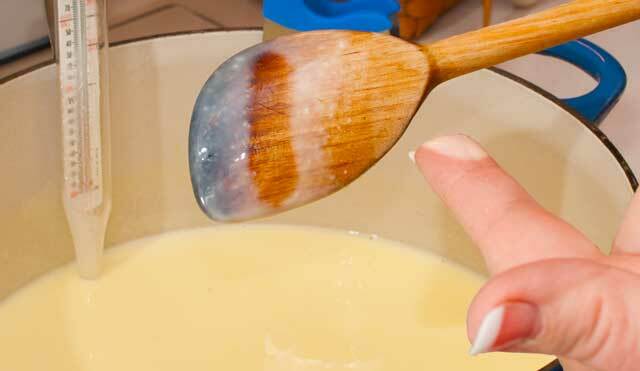 Place the pan with the custard in a large bowl filled with ice and cold water. Stir to cool the custard. Add in the vanilla. Remove the pan from the water bath and cover the custard with a piece of plastic wrap. Chill the mixture for at least two hours or overnight if you have the time. 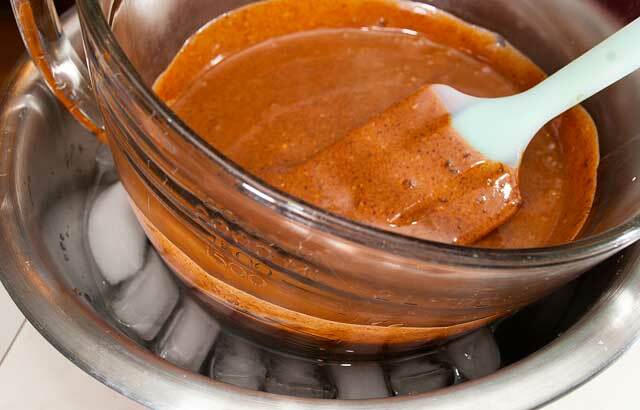 Place the chilled mixture into your ice cream maker. Freeze according to the directions. 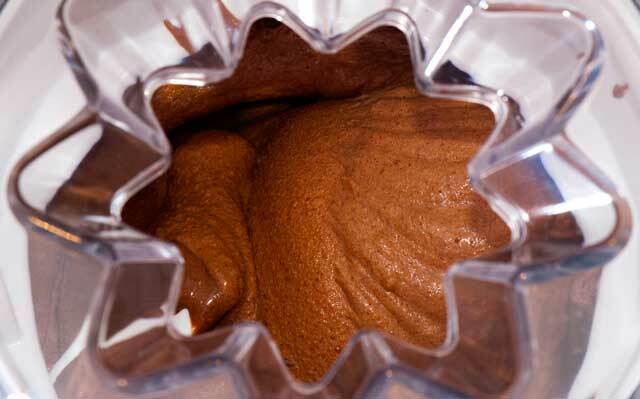 Place the finished, churned ice cream into a container and freeze overnight. Serve in small bowls or with my Decadent Hot Chocolate. Whisk together the yolks, 2 tablespoons of white sugar and the salt in a medium non- metal bowl. I made this recipe with my sister recently and it was fabulous! So rich and chocolatey and it was very simple to make. We both absolutely loved it! Thank you for trying it. I’m glad you thought it was delicious.